Buena Park, California is a family vacation hot spot located just 5 miles from Disneyland and 20 miles from Los Angeles. The city is not only known for its ideal location, but for its world famous entertainment including Knott’s Berry Farm. 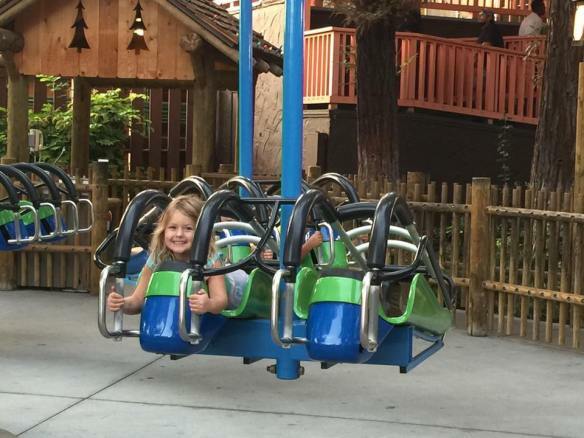 Knott’s isn’t the only family-friendly entertainment in Buena Park. 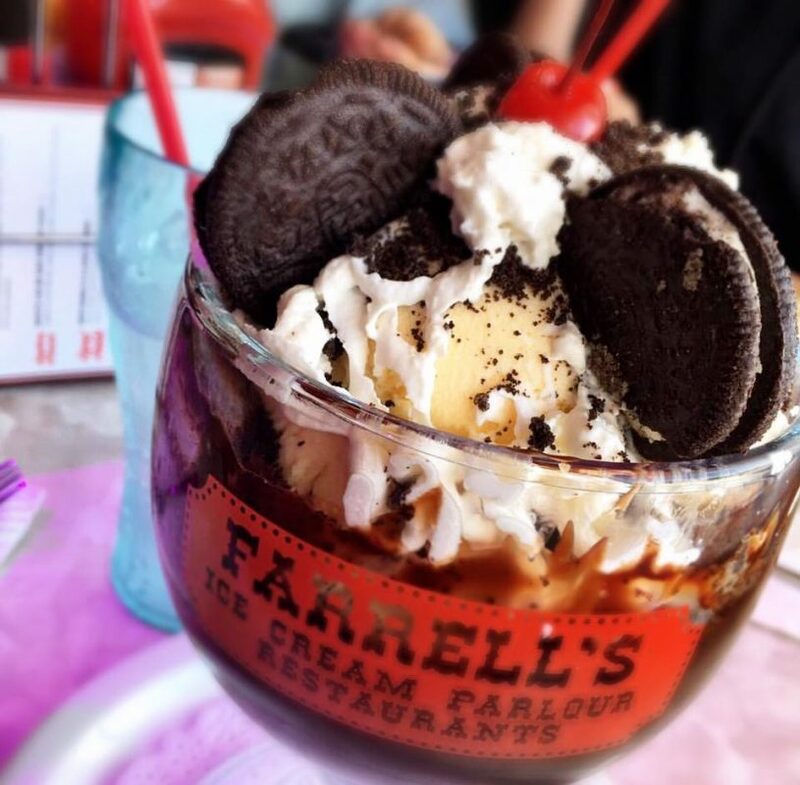 Here, you can also find two major dinner shows – Pirate’s Dinner Adventure and Medieval Times Dinner & Tournament, a trampoline park, and famous restaurants like Farrell’s Ice Cream Parlour and Portillo’s Hot Dogs. 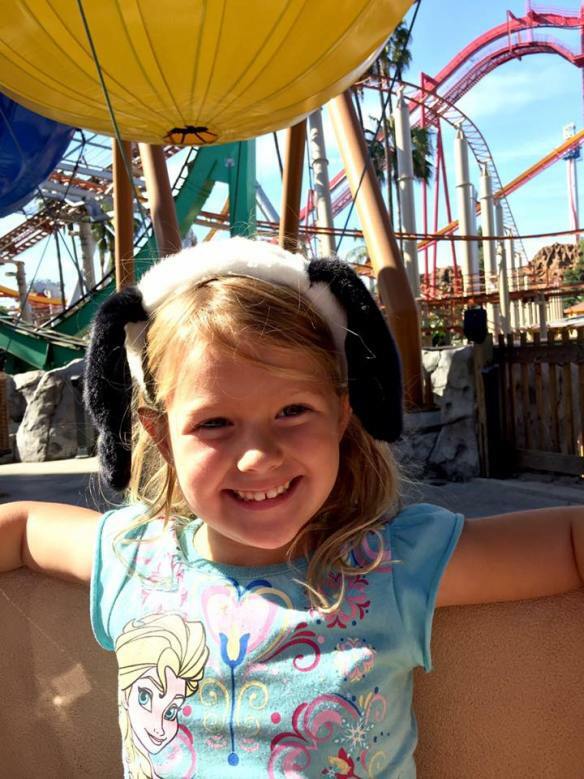 Athena and I spent three days in Buena Park to experience for ourselves why it draws millions of visitors each year. With its warm weather, family-friendly environment, and premier entertainment, you don’t have to look for fun because it finds you in Buena Park. 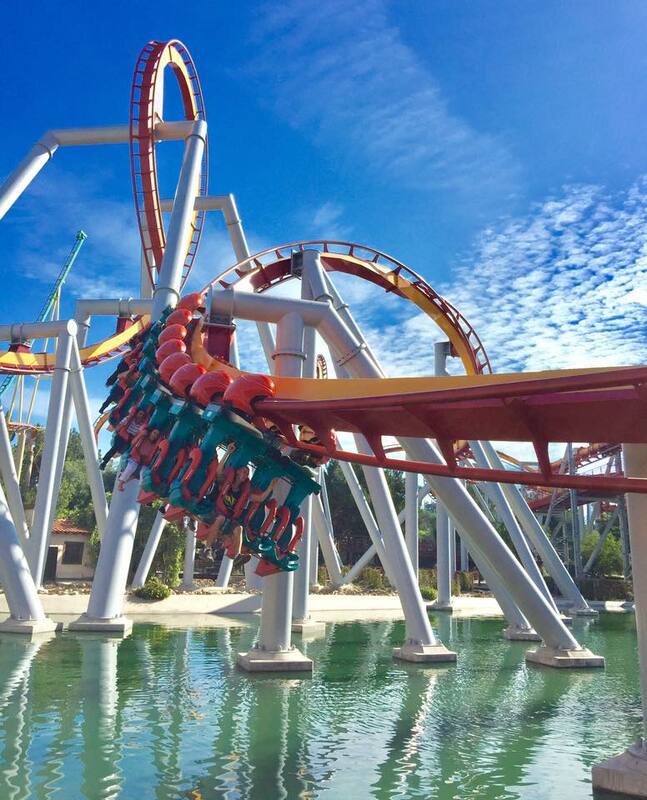 Here’s are three day, family-friendly itinerary in Buena Park. 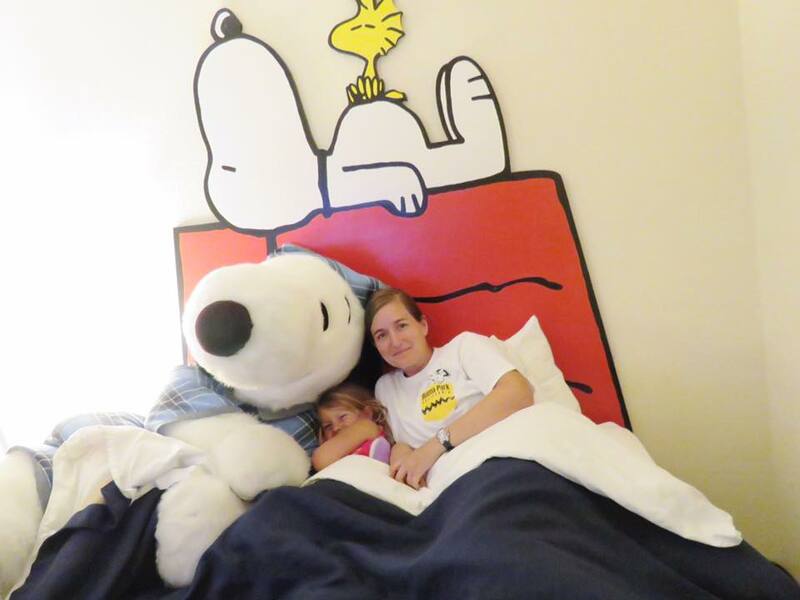 We checked into a Snoopy-Themed Room at Knott’s Berry Farm Hotel in the mid afternoon. Waiting for us in the Snoopy Suite was a Snoopy pal and adorable decorations, including a Snoopy headboard and matching wall art. The room included breakfast, parking, and WiFi all complimentary. 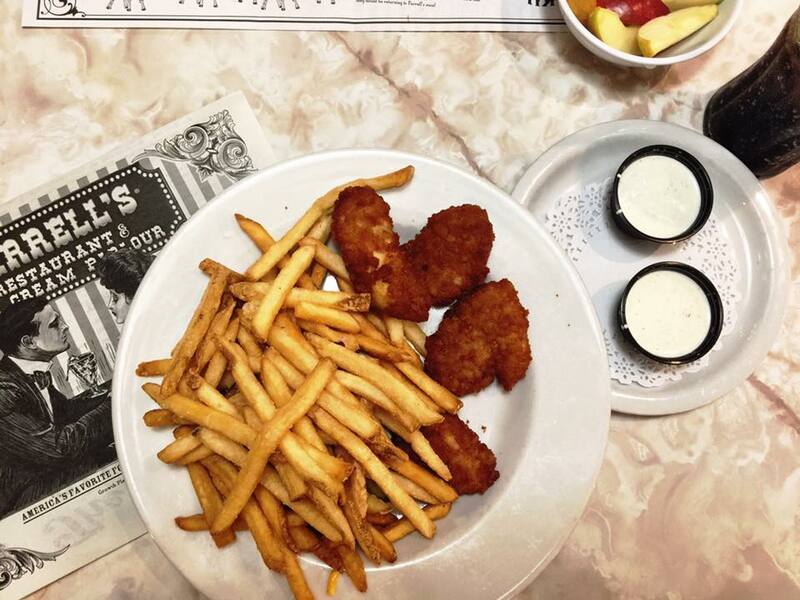 Our first dinner theater experience began at 3:30 pm. Located across the street from Knott’s Berry Farm, Pirate’s Dinner Adventure is fun for the whole family. It gave us the opportunity to set sail on the high seas on-board a replicated 18th century Spanish galleon anchored in a 300,000 gallon indoor lagoon. It was perfect blend of action, adventure, aerial artistry, special effects, swordplay, comedy, surprise, romance, and a hearty feast; oh the hearty feast still has my mouth watering! 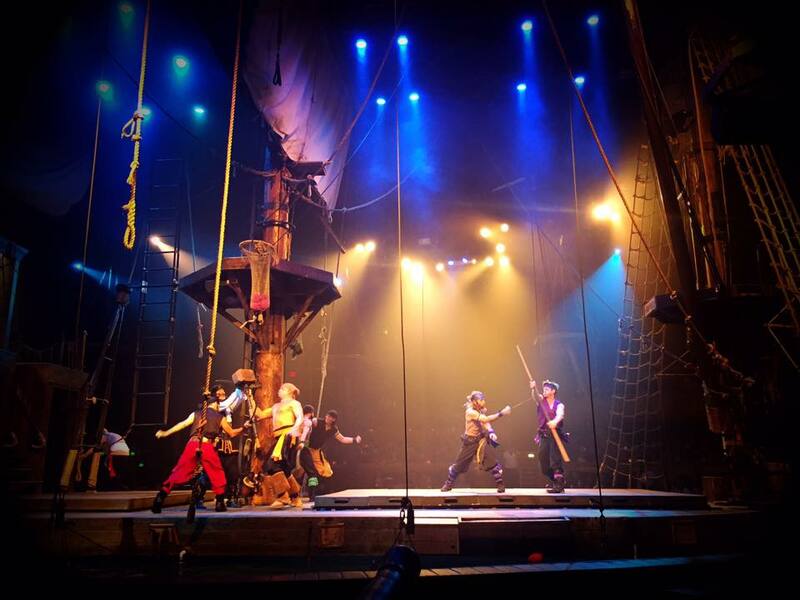 Want-to-be pirates of all ages became emerged in the epic and interactive dinner theater. Athena was even given the chance to play an actual role in the show by swearing in as a pirate. Unfortunately, our friendly pirate was a little too intimidating and she chose to remain in the seat next to me while she enjoyed the show. 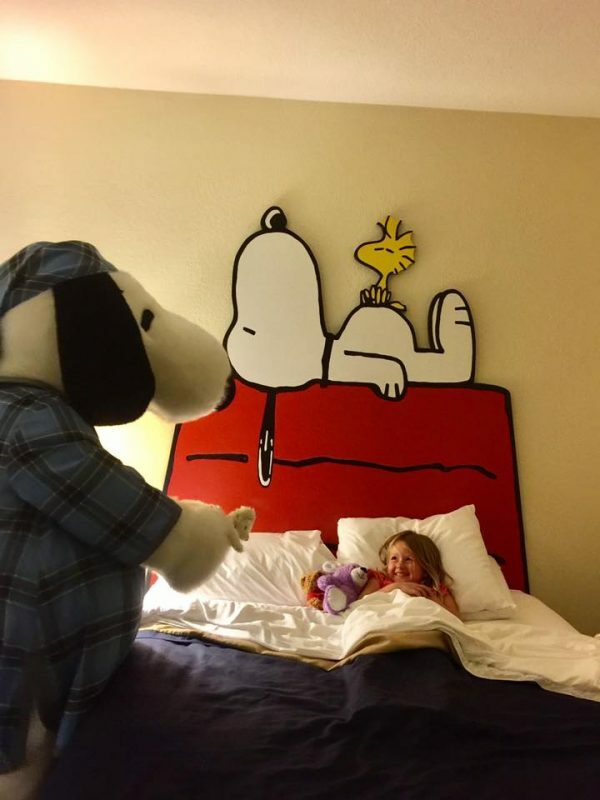 As a special treat, Snoopy came each night to tuck Athena into bed and take photos. Our first night was the biggest surprise. Snoopy was funny and playful as he climbed into the bed for a picture of the three of us. We had an early night with anticipation of a busy following day. We walked over to Knott’s Berry Farm for the opening at 10 am. It was only around the corner from the hotel and a wide path led the way. When we entered the park, it felt like I was visiting a totally different place from the over-crowded park I’d visited the week before for Knott’s Scary Farm. Front of the line passes weren’t needed and Snoopy characters waited at the gate to great us. Athena was hugging Linus within seconds and she was already grinning from ear to ear. 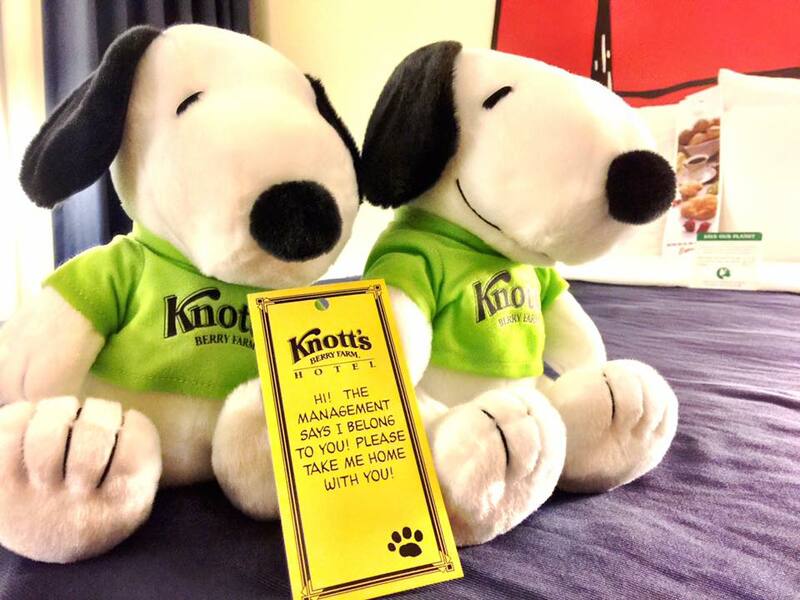 Snoopy tucked us in back at Knott’s Hotel as if we were in a dream and I shut off the lights for Athena to sleep. The day had been magical. It’s rare to have such perfection in a day where nothing goes wrong and everything was even greater than you had envisioned. Day three started with a visit to the Ralph B Clarke Interpretive Center located inside Ralph B Clarke Park. Admission was free but there was a $5 parking fee. 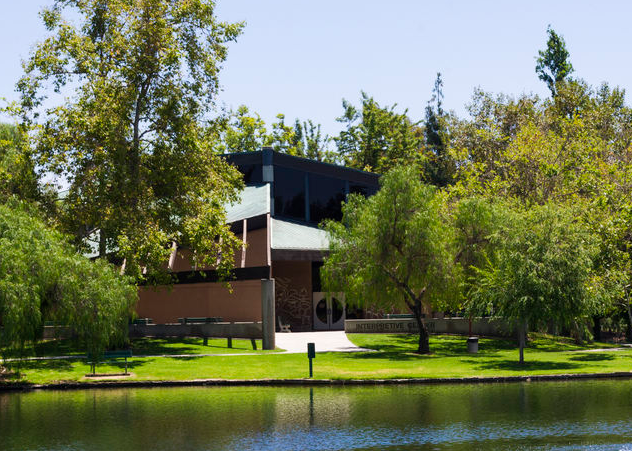 The center provides an educational view of prehistoric Orange County through exhibits, programs, and guided tours. Among the fossils on display is a 9 million year old baleen whale skeleton. It is reputed to be one of the only complete ice age whale fossils in existence. The park offers large shaded picnic areas, hiking and biking trails, and children’s playground areas. Athena would have been happy staying at the outdoor playground all day. It was my kind of place too. It’s full of natural attractions and three separate play areas. There were some faux rock formations and a rock wall with a huge sand area. There were lots of children around Athena’s age to play with and I appreciated the nearby benches that gave a full view of the play area. Athena worked up an appetite at the park and I enjoyed the fresh air. We stayed for over three hours. We couldn’t go to Buena Park without including Portillo’s Hot Dogs on our itinerary. 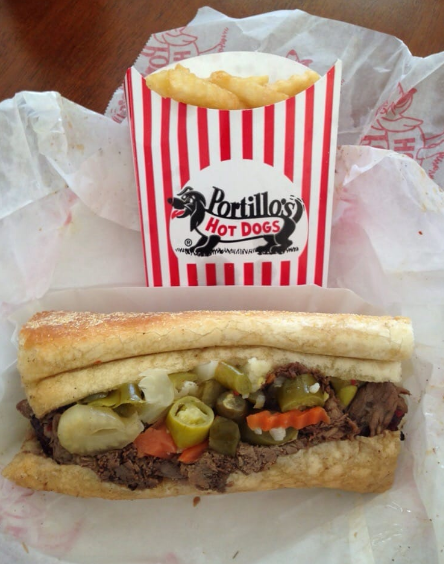 Portillo’s is home to the best Italian beef sandwich that was ever made. You have to try it for yourself. 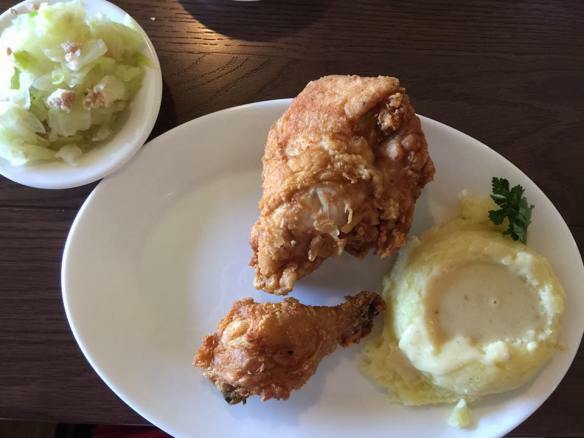 The atmosphere is casual and the prices are fair, but the food is exceptional. Some evenings, I drive over an hour from southern Orange County just to get an Italian beef sandwich at Portillo’s Hot Dogs. We went to Big Air Trampoline Park after Portillo’s Hot Dogs. They are so close together that we just parked the car in between and walked after our lunch. They are both in a mall parking lot so parking is free. 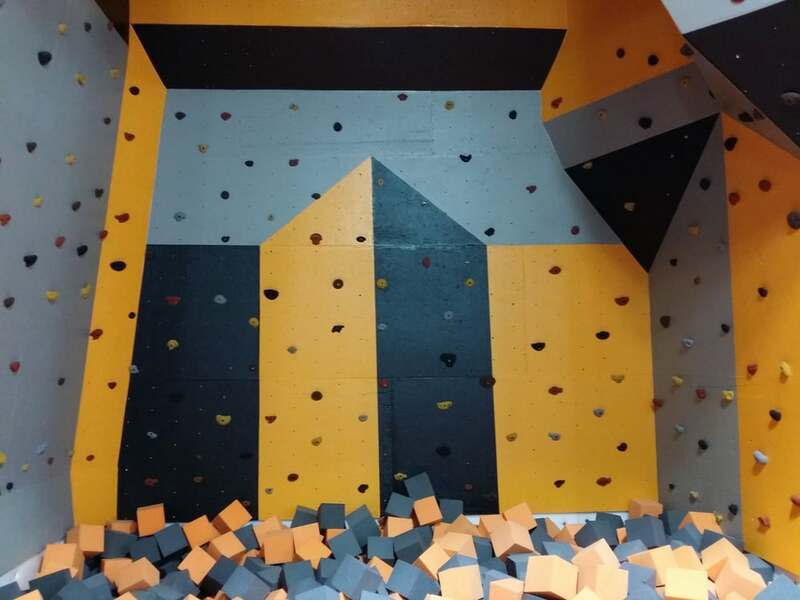 Blanketed in wall-to-wall trampolines, Big Air Trampoline Park delighted us with its springy terrain and foam pits. We literally bounced off the walls and jumped ourselves silly. After two hours of jumping, trying out different stunts, and climbing the walls, we were exhausted. We went back to the hotel to shower and rest before our next exciting dinner and tournament. 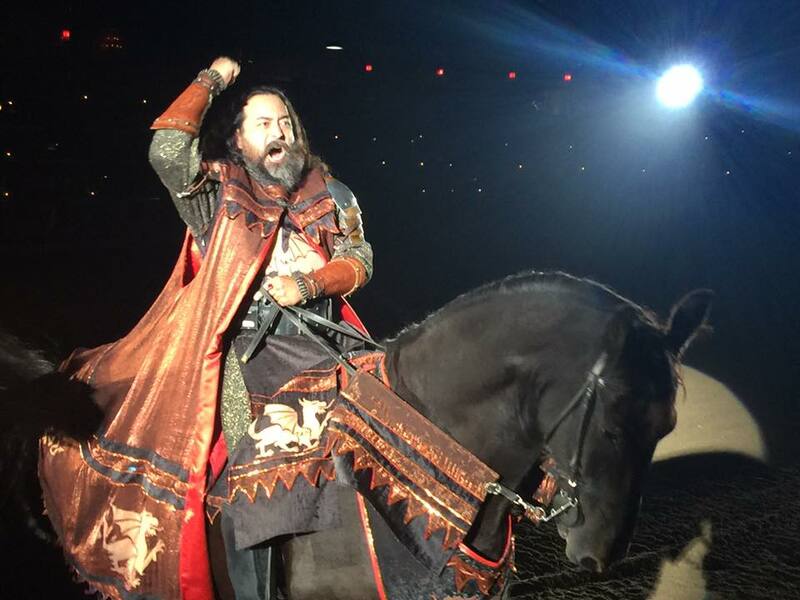 Medieval Times Dinner & Tournament brought history to life with a two-hour medieval tournament and four-course feast. The European-style castle features a soaring tower, elaborately decorated Hall of Arms, the Knight Club, an outdoor courtyard, an extensive gift shop, Museum of Torture, and an indoor stable area. 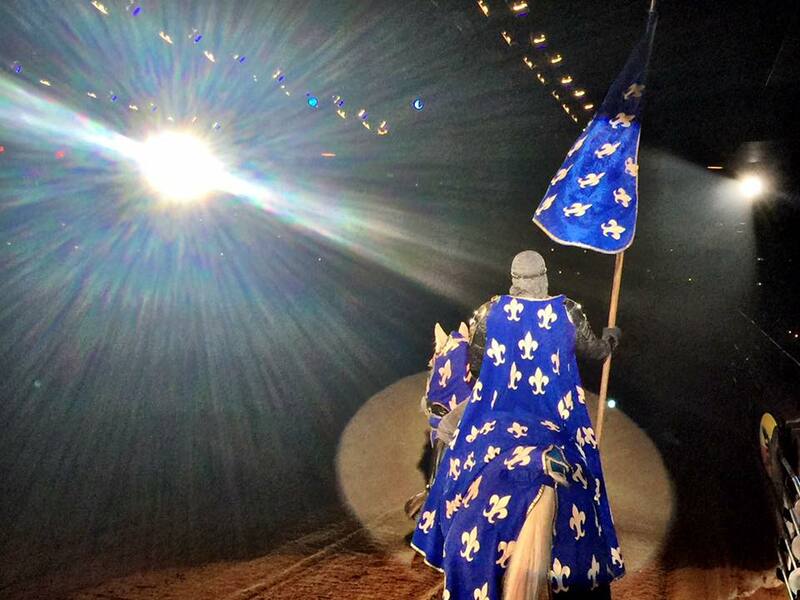 During the tournament, we cheered for one of six Knights as he competed in medieval games, authentic jousting matches, and ground battles with sword and shield. The action intensified as the tournament searched for one Knight to be crowned champion by the King. Proudly, we cheered as our Knight won the tournament and selected Athena as the Queen of the Tournament. Even though the dinner was late, I don’t think she was ever more excited at a dinner show. 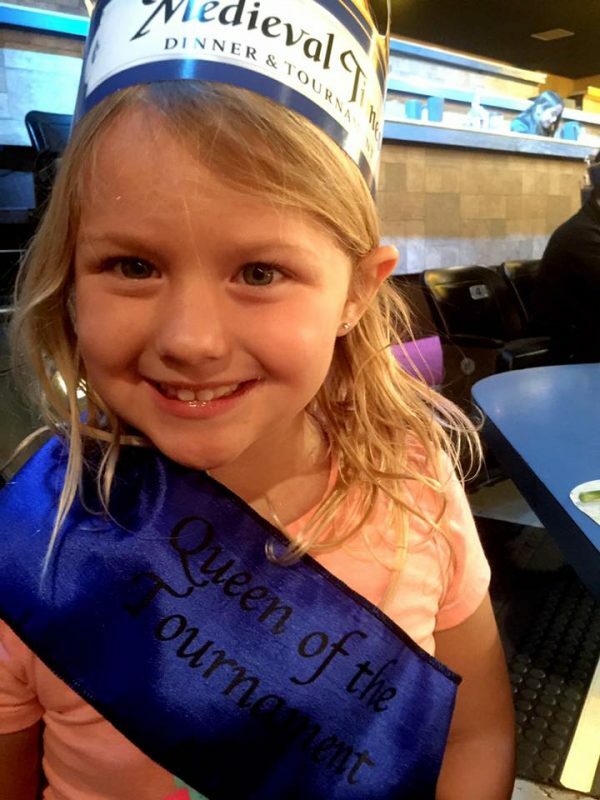 She was in awe of the horses and the rides, and she wanted to continue wearing her sash the next day. We missed the Snoopy tuck-in that night but we were both so exhausted that we were asleep when our heads hit the pillow. 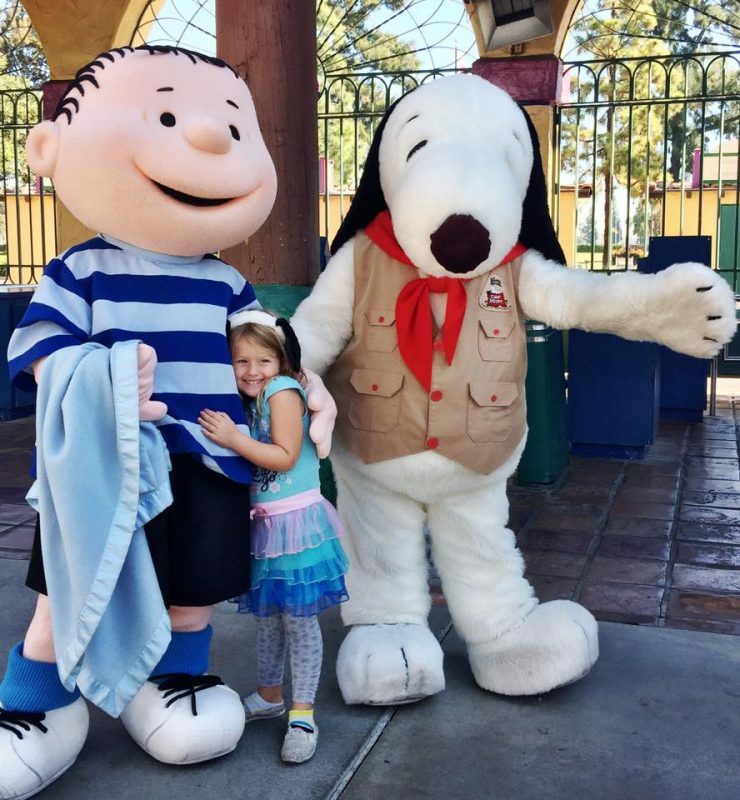 Knott’s Berry Farm is a huge draw for visitors to Buena Park, but with thrilling attractions, interactive dining experiences, and plenty of outdoor options, Buena Park offers family-friendly fun on just about every corner. From fighting off evil pirates to soaring through the air, Buena Park had all of the excitement we were searching for. Knotts berry farm hotel booked with the amazing help of Lesley. Can not wait to enjoy our family vacation!